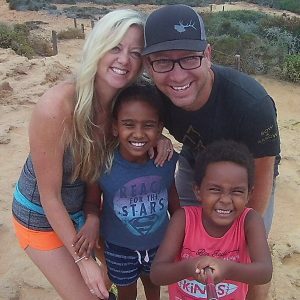 We are in the final stretch of bringing our new son home- hopefully by this summer, and we are trying to save up and fundraise $13,700 more (as of 3/1/2018) to complete all the adoption fees (not including travel expenses). We are excited about the following THREE Fundraiser Raffles with something for everyone. All three random raffle drawings will be held on April 1, 2018, so please consider buying some tickets today. Win 4 tickets to see the LA Clippers on April 9th with VIP Dinner & Parking included! Seats are located in Section 112, Row 7, Seats 18, 19, 20, 21. $1,250+ Value. Win a $100 Lululemon Gift Card AND a Gift Card to BodyCentre Wellness Spa in Fullerton. (Chose from 80 minute massage, foot scrub, paraffin hand treatment- $89 value). WE WILL CONTACT YOU TO CONFIRM THE NUMBER OF TICKETS TO BE APPLIED TO EACH RAFFLE. For example, if buying 3 getting 1 free = 4 tickets, so… 2 tickets for raffle #2 & 2 tickets for raffle #3. Or, buying 5 getting 2 free = 7 tickets, so 5 tickets for raffle #1, 1 for raffle #2, & 1 for raffle #3, etc. You can use your tickets for any combination you’d like.